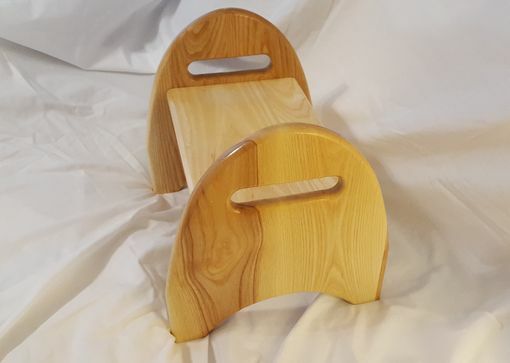 This handmade solid white ash step stool is made of same wood as professional baseball bats. 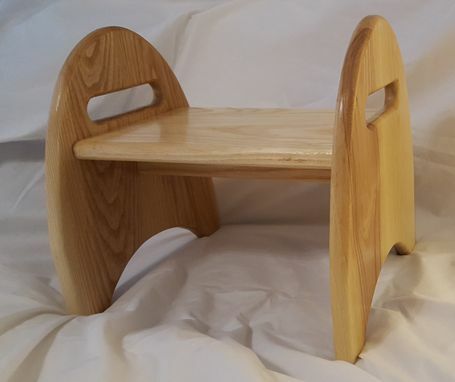 The wood is locally sourced from South Eastern, PA. Each piece is hand finished. There are no screws used in construction; the joinery is classically doweled. The dimensions are approximately 11" 3/4 deep X 12" 1/4 high X 13" 1/4 wide. The step is 7" 3/4 high. 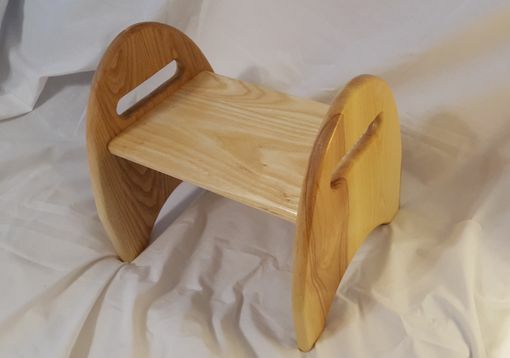 This stool is designed to be passed down for generations. We can also provide custom sizes and wood types.